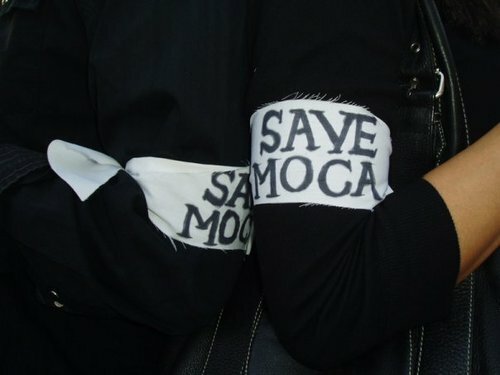 The artist-led group known as MOCA Mobilization is back. The group, founded in 2008 by artists Cindy Bernard and Diana Thater, has posted online a petition calling for specific changes at the Museum of Contemporary Art, following a round of controversial layoffs and the resignations of all four artists on the board of trustees. The petition, posted on Facebook and change.org with a goal of 1,500 signatures, calls for the museum to reverse its plans and fill its chief curator position, which has been vacant since the departure of Paul Schimmel. It also asks the institution to bring new artists onto its board to replace those who have resigned. The group is not calling for any board or staff resignations…. Bernard says this message is not meant to be directed specifically at Broad, the board member who appears to be behind many of the museum’s recent decisions.